Our mind controls some of our most basic, yet most important bodily functions. For example, it controls the rate at which we breathe, the rate at which our heart beats, and the rate at which our bodies heal from damage. You may have noticed some people recovering very quickly from cuts and bruises, while others take a significantly longer period of time to achieve the same result. Why is this so? The answer – as you may have guessed by now – lies in the ability of our minds to heal our bodies quickly and efficiently. Whether you wish to heal from a surgery, illness or any cuts and bruises, the key to a speedy recovery lies in how your mind accelerates this process. 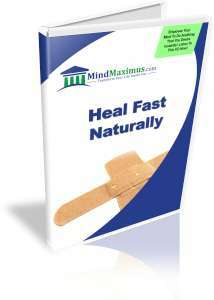 Are you looking to dramatically accelerate the rate at which your body heals? Have you often wished to minimize the time it takes your body to recover from illness, exhaustion and tissue damage? Do you want a high-performance body that quickly and efficiently repairs damaged cells and boost your natural immune system? 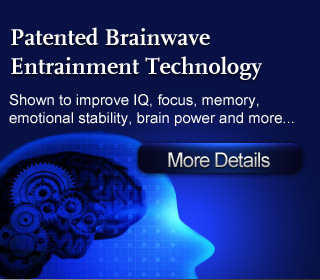 With today’s advanced Brainwave technology we are now able to accelerate the rate at which our bodies heal. Finally, we can effectively cut down the time it takes for us to recover from tissue damage and maximize the time we have to spend enjoying life! No reviews on F06 Heal Fast Naturally so far.